Job Description: We are proud to be an EEO/AA employer. We maintain a drug-free workplace. SUMMARY Responsible for providing members with consultative quality service. Processes member transactions. Cross-sells credit union products and services that will benefit the members. These activities may be performed on the platform, teller line, and Advance Service Counter as needed. ESSENTIAL DUTIES AND RESPONSIBILITIES • Develop and maintain positive member and staff relationships. • Initiate Sales/Service activities: - Develop, set, and achieve personal sales and referral goals. - Assist in achievement of branch sales goals. - Refer members to Real Estate,SAFE Financial Services, and Business Specialist/Development Officer for assistance as appropriate. - Assist in developing and conducting branch sales programs, as requested. - Develop and maintain a proactive book of business to create ongoing and new sales opportunities through outbound sales calls - Participate in Benefit Fairs and offsite events to expand membership and book of business. • Provide consultative member service. • Achieve and maintain appropriate Mystery Shop and Survey scores through excellent service. • Conduct member-profiling methodology to determine member needs; confer with members on various products and services. Explain benefits and features. • Open New Account Products. • Accept loan applications, perform loan funding, participate in the audit process. • Maintain, sell and process Visa gift cards, debit and credit products. • Provide transactional member service in all areas of the branch. - Greet all members pleasantly and by name. - Accept and process deposits, withdrawals, payments, cashier checks, and cash advances according to SAFE’s policies. - Process over the counter requests for cashier checks, money orders and travelers’ cheques. - Thank members for their business. • Maintain and balance individual cash drawer throughout the day and at end of shift. • Assist in the opening, balancing and closing functions of the branch. • Participate in training and development of teammates as requested. • Maintain files, complete regulatory reports, and assist with other duties as assigned. • Participate in self-development and training programs. • Acquire personal skills through ongoing internal/external programs. • Assist team with overrides and approvals as authorized by branch management. • Resolve errors and member complaints. • Act in a supervisory capacity as requested. • Complete other duties as assigned. QUALIFICATIONS To perform this job successfully, an individual must be able to perform each essential duty satisfactorily. The requirements listed below are representative of the knowledge, skill, and/or ability required. Reasonable accommodations may be made to enable individuals with disabilities to perform the essential functions. EDUCATION AND/OR EXPERIENCE Associate's degree (A. A.) or equivalent from two-year college or technical school; or one year related experience and/or training; or equivalent combination of education and experience. LANGUAGE SKILLS Ability to read and interpret documents such as safety rules, operating and maintenance instructions, and procedure manuals. Ability to write routine reports and correspondence. Ability to speak effectively before groups of members or employees of organization. MATHEMATICAL SKILLS Ability to calculate figures and amounts such as discounts, interest, commissions, proportions, percentages, area, circumference, and volume. Ability to apply concepts of basic algebra and geometry. REASONING ABILITY Ability to apply common sense understanding to carry out instructions furnished in written, oral, or diagram form. Ability to deal with problems involving several concrete variables in standardized situations. CERTIFICATES, LICENSES, REGISTRATIONS N/A OTHER SKILLS AND ABILITIES • Communicate effectively. • Ability to function in a team environment as a proven team player. • Ability to make decisions and take responsibility for them. • Ability to act in a lead capacity when needed. OTHER QUALIFICATIONS N/A PHYSICAL DEMANDS The physical demands described here are representative of those that must be met by an employee to successfully perform the essential functions of this job. Reasonable accommodations may be made to enable individuals with disabilities to perform the essential functions. While performing the duties of this job, the employee is regularly required to use hands to finger, handle, or feel; reach with hands and arms and talk or hear. The employee is occasionally required to stand; walk; sit and stoop, kneel, crouch, or crawl. The employee must occasionally lift and/or move up to 10 pounds. Specific vision abilities required by this job include close vision, distance vision, peripheral vision, depth perception and ability to adjust focus. WORK ENVIRONMENT The work environment characteristics described here are representative of those an employee encounters while performing the essential functions of this job. Reasonable accommodations may be made to enable individuals with disabilities to perform the essential functions. The noise level in the work environment is usually moderate. SUMMARY Responsible for the architect and product vision of the credit and debit card portfolio for both SAFE’s consumer and commercial members, including development, participation, profitability, roll-out and testing to ensure overall contribution to organization. Conduct comparative analysis against competitors and provide strategic planning of payment product direction and features., vendor management, disclosure management, budgeting, promotions, and product marketing. Will manage and influence all aspects of card product lifecycles, including business and risk analysis. Monitors and maintains existing portfolios by ensuring product offerings are competitive, current, member segment applicable, and meet member experience expectations. The Product Manager develops and implements strategic plans for the program and facilities close partnerships with internal and external partners. ESSENTIAL DUTIES AND RESPONSIBILITIES • Develop and execute a strategic payment product plan. Develop, maintain, and fully understand product descriptions, including how the products work from start to finish. • Research new and existing payment products. Monitor industry trends, including researching competitor practices and pricing. • Develop annual plans and ongoing forecasts, including identification of variances and development of corrective tactics as they develop (across both short and longer-term horizons). • Understand cardholder lifecycle management, recommend and champion product development, product enhancements, product elimination, margin or retention improvement actions and additional new revenue opportunities. • Develop strategic promotional programs to increase card penetration, usage and that deliver the highest value to cardholders while maximizing program returns. • Demonstrate an ongoing awareness of competition strategies, knowledge of their product offerings, and pricing patterns. Recommend new products, promotions, and changes to ensure SAFE is competitive in keeping SAFE’s cards top of wallet and top of mind. • Develop portfolio and member base segmentation strategies to deliver the highest value to cardholders while maximizing marketing program returns. • Responsible for effective product communication and knowledge oversight of product features, benefits, and promotions to Credit Union staff. • Ensure product enhancement and new product development process is aligned with the member/industry needs, credit union philosophy, organizational resources and current strategies. • Leverage industry and credit union data, market research, key learnings, and best practices to add value and deliver relevant insights and recommendations. • Have command of the intricacies of each payment product line, and serve as the in-house expert on a number of product-related issues. • Foster relationships with third party providers that assist SAFE in delivering best in class solutions and results as well as ensure optimum customer service, quality, accuracy and responsiveness. • Work with all levels of management in product development, as well as collaborate with internal departments on evaluation, implementation launch, and ongoing servicing. • Serve as lead contact for compliance functions as related to card specific compliance requirements. • Other duties as assigned. SUPERVISORY RESPONSIBILITIES • Write and conduct quarterly and annual performance evaluations, including setting short and long term goals as well as defining any required training and development plans. Coach and counsel subordinates, give positive reinforcement, recognize and reward staff when warranted. Perform disciplinary actions when applicable. QUALIFICATIONS To perform this job successfully, an individual must be able to perform each essential duty satisfactorily. The requirements listed below are representative of the knowledge, skill, and/or ability required. Reasonable accommodations may be made to enable individuals with disabilities to perform the essential functions. • Knowledge of the financial services industry • In depth knowledge of card payment industry • Knowledge of Credit, Debit, ATM, Gift, and Prepaid card functions, Visa and other non-Visa networks • Knowledge of and ability to analyze major network interchange structure and processing • Knowledge of CO-OP’s Shared Branching processing and ATM network • Comprehensive knowledge of federal and state regulations, Credit Union policies, and Visa rules • Customer service orientation • Time management and prioritization • Ability to read and interpret card related disclosures • Ability to read, interpret, and write routine reports, correspondence, and procedure manuals • Ability to speak effectively before groups of customers, employees, and senior management • Ability to perform root cause analysis • Knowledge of Project Management methodologies • Knowledge of financial institution risk assessment, risk mitigation, and internal control practices • Ability to multi-task, set priorities, and execute action plans in order to meet organization goals and deadlines EDUCATION AND/OR EXPERIENCE Bachelor's degree (B. A.) from four-year college or university Five (5) years financial institution experience Three (3) years card product management experience (card operations experience ok) An equivalent combination of education and experience may be considered. OTHER SKILLS AND ABILITIES • Is committed to developing professionally, attends professional conferences, focuses on best practices, values cutting-edge practices and approaches; takes advantage of a variety of learning activities, introduces newly gained knowledge and skills on the job. • Shows ability to plan, schedule, direct work of self and others; balances task requirements and individual abilities; organizes materials to accomplish tasks, sets challenging yet achievable goals for self and others. • Communicates a vision and inspires motivation; engages with others (direct-reports and peers) in a team process to solve problems; works to find win/win resolution of differences; is aware of how management style impacts staff productivity and development; modifies leadership style to meet situational requirements; helps team stay focused on major goals while managing within a context of multiple directives. • Possesses, acquires, and maintains the technical/professional expertise required to do the job effectively and to create client/customer solutions. Technical/professional expertise is demonstrated through problem solving, applying professional judgment, and competent performance. • Sets high standard and well-defined, realistic goals for one’s self; displays a high level of effort and commitment towards completing assignments in a timely manner, works with minimal supervision; is motivated to achieve. • Takes action without being asked or required to; achieves goals beyond job requirements; being proactive; taking prompt action to accomplish objectives. • Clearly conveys and receives information and ideas through a variety of media to individuals or groups in a manner that engages the listener, helps them understand and retain the message, and invites response and feedback. Keeps others informed as appropriate. Demonstrates good written, oral, and listening skills. • Excellent planning, interpersonal, influencing, and problem solving skills are required • Must have demonstrated ability to motivate people & find common ground to achieve objectives • The ability to develop and forecast budgets for current and future years. • Superior verbal and written communication skills, including ability to tailor communications based on audience • Strong understanding of financial products and services, digital transformation and emerging technologies preferred. • Ability to act quickly and triage in a crisis situation to make decisions and keep key constituents informed of the situation • Organize and execute work to goals and end dates; demonstrates a sense of urgency around problems • Excellent relationship management skills • Organize, manage and track multiple detailed tasks and assignments with frequently changing priorities in a fast-paced work environment • Promoting effective coordination between work groups • Proven track record of building influential relationships with internal customers; ability to influence across departmental lines without direct authority • Ability to think strategically and identify and understand business needs and translate into strategic direction, plans and solutions • Monitors and checks work to meet quality standards; demonstrates a high level of care and thoroughness checks work to ensure completeness and accuracy. • Experience working with IT groups to create technical solutions for business needs. Equal Opportunity Employer/Protected Veterans/Individuals with Disabilities The contractor will not discharge or in any other manner discriminate against employees or applicants because they have inquired about, discussed, or disclosed their own pay or the pay of another employee or applicant. However, employees who have access to the compensation information of other employees or applicants as a part of their essential job functions cannot disclose the pay of other employees or applicants to individuals who do not otherwise have access to compensation information, unless the disclosure is (a) in response to a formal complaint or charge, (b) in furtherance of an investigation, proceeding, hearing, or action, including an investigation conducted by the employer, or (c) consistent with the contractor’s legal duty to furnish information. ESSENTIAL DUTIES AND RESPONSIBILITIES Develop and maintain positive member and staff relationships. Provide transactional service to members. - Greet all members within 10 seconds & 10 feet pleasantly. - Use the member’s name at least twice during the transaction. - Accept and process deposits, withdrawals and payments according to SAFE’s policies and procedures. - Process over the counter requests for cashier checks, Visa cash advances, gift cards, postage stamps, temporary checks and.Visa debit cards. 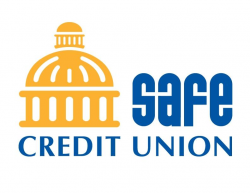 Thank members for their business and use SAFE CU in the closing statement. Maintain individual cash drawer with appropriate drawer limits and balance drawer at the end of shift or as instructed by Management. Initiate Sales/Service activities: - Develop personal sales/referral skills. - Achieve monthly personal sales/referral goals. - Initiate a sales activity with every member interaction. - Assist in achievement of branch sales goals. - Generate referrals/leads to the platform, Branch Business Specialist and/or LBE, Real Estate Mortgage Officer, SAFE Financial Services and SAFE’s Business Development Officer. . Assist in the branch’s daily opening and closing activities. Assist in the balancing and auditing of all negotiable and dual custody facilities. Maintain accurate and complete records of member transactions. Follow CIP procedures and complete regulatory reports to ensure compliance with BSA . Participate in personal self-development training through the completion of internal and external training programs. Assist with other duties as assigned QUALIFICATIONS To perform this job successfully, an individual must be able to perform each essential duty accurately, efficiently and satisfactorily. The requirements listed below are representative of the knowledge, skill, and/or ability required. Reasonable accommodations may be made to enable individuals with disabilities to perform the essential functions. EDUCATION AND/OR EXPERIENCE High school diploma or general education degree (GED); and one year related experience in customer service and/or cash handling or equivalent combination of education and experience. LANGUAGE SKILLS Ability to read and comprehend simple instructions, short correspondence, and memos. Ability to write simple correspondence. Ability to effectively present information in one-on-one and small group situations to customers, clients, and other employees of the organization. MATHEMATICAL SKILLS Ability to add, subtract, multiply, and divide in all units of measure, using whole numbers, common fractions, and decimals. Ability to compute rate, ratio, and percent and to draw and interpret bar graphs. REASONING ABILITY Ability to apply common sense understanding to carry out detailed but uninvolved written or oral instructions. Ability to deal with problems involving a few concrete variables in standardized situations. OTHER SKILLS AND ABILITIES Knowledge of various computer software programs Ability to communicate effectively Ability to function in a team environment as a proven team player Equal Opportunity Employer/Protected Veterans/Individuals with Disabilities The contractor will not discharge or in any other manner discriminate against employees or applicants because they have inquired about, discussed, or disclosed their own pay or the pay of another employee or applicant. However, employees who have access to the compensation information of other employees or applicants as a part of their essential job functions cannot disclose the pay of other employees or applicants to individuals who do not otherwise have access to compensation information, unless the disclosure is (a) in response to a formal complaint or charge, (b) in furtherance of an investigation, proceeding, hearing, or action, including an investigation conducted by the employer, or (c) consistent with the contractor’s legal duty to furnish information.